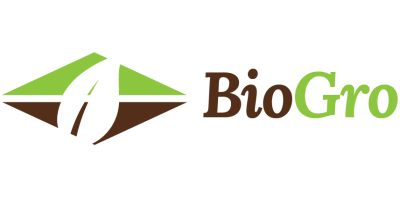 Bio-Gro, Inc. manufactures over 130 individual product formulations, and provides customers the ability to design unique custom blends, based on specific soil needs. Our core business is humic acid and biofertilizer production. However, it takes a complete fertility approach to produce consistent results. Our specialty is the development of precision fertilizer and production systems that give our customers the highest yields and quality. Increased crop health and yield starts from the roots. Bio-Gro`s three-step approach sets your crop off right by growing stronger roots and rejuvenating soils. Healthier roots improve nutrient efficiency, while our custom blends ensure your field gets just what nutrients it needs. Bio-Gro brings value to your season, building a stronger, healthier, well-set crop, ready to face the stressors of its environment. Our product technology can deliver a blend customized for your specific field needs. Bio-Gro utilizes in-field measurements to create detailed application rate calculations and recommendations, improving input accuracy and reducing passes. Reduce your number of containers, reduce your margin for error, reduce your application time, increase your crop’s productivity. Highest Quality Yield per Acre of Soil and per Acre Foot of Water. How do we accomplish that? Learn how we provide growers and distributors a unique level of service and how we monitor fertility in the field. From our first meeting, to entering the field, to performing tests, making recommendations, and monitoring changes throughout the season, you can get a sense of the service we provide.